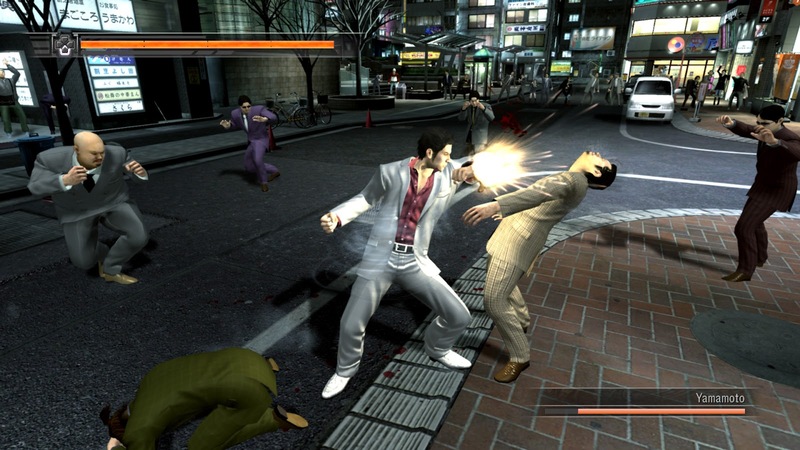 Yakuza 4 is set around Kamurocho, one of the fabulous crime-filled fictional districts of Tokyo. If you’re not into gambling, dining, or hostess clubs, you’re sure to find something violent to do in this mob infested location. This was my first experience with the Yakuza series and what an experience it turned out to be. I was recommended the game from a friend who knew I liked the Shenmue series from the SEGA Dreamcast days. When I first loaded this game up, I was a bit disappointed. It looks and feels really dated for a current-gen title. The open-city looked really small in comparison to the cities build by Rockstar Games in their Grand Theft Auto series. But I decided to stick with it and see what I was missing out on. 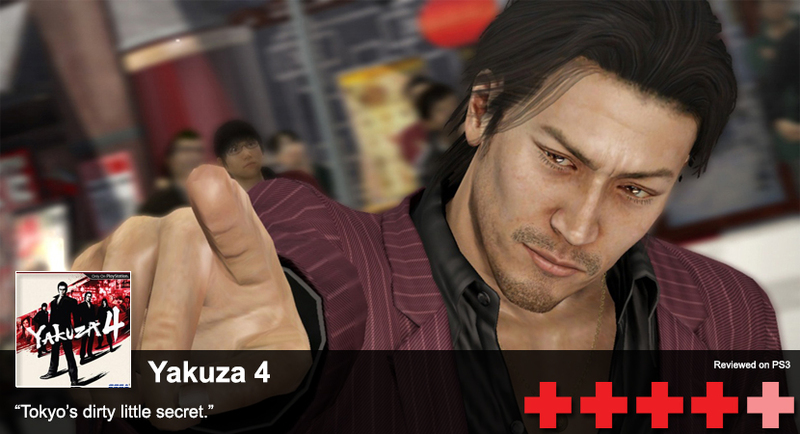 Yakuza 4 is a combination of an old school beat-em-up and a JRPG with a story setup like a very eloquent mafia movie. You play the role of four different characters with their own unique story. You’ll switch out between a loan shark, an escaped convict, a cop, and an ex-yakuza. Each one of their stories lead you to an outstanding conspiracy that will have you guessing throughout. Old school beat 'em up action! While you walk through the streets of Kamurocho, you’ll notice thugs standing around, waiting to start a fight. They’ll chase you (or just bump into you in dark alleys) if they spot you. This is typically how a JRPG plays out. In a more traditional JRPG setting, you’d walk around an open area and encounter random generated battles with no warning (think Final Fantasy). In Yakuza, it’s a similar process, but you can see the guy waiting for you a few blocks away. If you don’t want to fight in these battles, you can run and usually get away. During combat, there’s a mixture between blocking, evading, and combos. Or in some cases, button mashing. If objects are laying around, you can pick those up to do just a bit of extra damage. But your main focus is to beat in the faces of those you encounter without mercy. During battles, you’ll have a Heat meter underneath your health bar. Heat is essentially your special moves bar and is activated simply by pressing the triangle button depending on where the opponents are standing or what you’re holding. You’ll unlock more moves by leveling up and adding more skills in your skill tree. To unlock even more moves, you’ll simple complete training challenges around the city or located different “Revelations”. Revelations are events that take place with each character that require you to watch a short, usually comical, cinematic and press the appropriate button in the quick-time event. After the QTE, you’re asked a question about what you just witnessed. If you did it right, your character will have a new skill to use during combat when their Heat meter is full. Much like any beat-em-up, the most important reason to learn different fighting moves is for the boss battles. You’ll encounter these fights mid-way through the story of each character and at the end of their chapter. Boss fights are extremely different from the simple thugs you bump into on the streets. They have a much higher health bar, fight with more moves (including Heat moves), and they’ll dodge/block more of your moves. If you have a good understanding of the fighting mechanics, then these bosses are just going to take a bit longer than usual. Since this game relies heavily on it’s gritty story, you’re going to experience a lot of cinematics during the game. They’ll range from slow-paced dialog scenes to impressionable and cool scenes, like the ramen shop scene as shown above. All of the cinematics are in subtitles and spoken in Japanese. Some might have a problem with this but I felt it kept the game authentic. On top of reading during the cinematics, there’s also a long list of unspoken dialog you’ll scroll through and read. So if you don’t like reading lines of text throughout a game, you might not like this one. Side-quests are flooded throughout. You’ll encounter at least a few per character during normal playthrough. Each side-quest is unique per character. Usually the quests involve running errands such as finding something or beating up a band of thugs for different city dwellers. The most difficult thing you’ll encounter for a few of the quests is trying to find the starting points or where to go next. Most of the time, you’re going to be pulling up your map to figure out paths to take since the game lacks a waypoint system. At least it gets you exploring and familiarizing yourself with Kamurocho. Exploring Kamurocho is a lot of fun since there’s several activities to get involved in such as gambling, batting cages, golf, arcades, and dating. There’s several buildings of interest you can enter which are highlighted on your map as color-coded buildings in various districts. 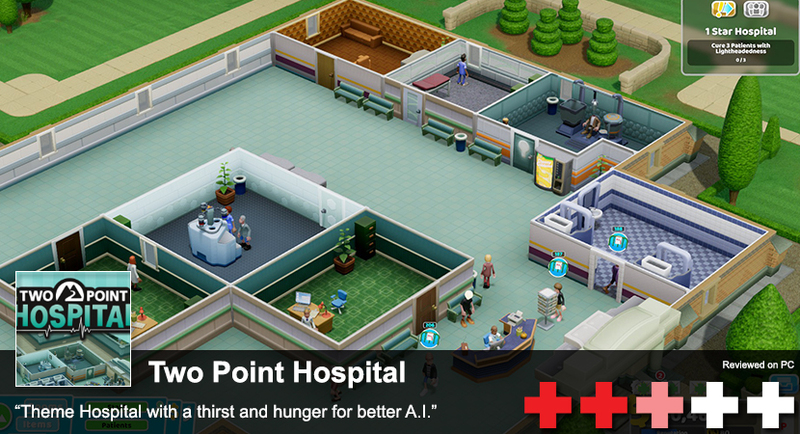 One cool feature is that you can restore your health after fights by eating at different restaurants around town. It reminded me a lot of a retro favorite, River City Ransom. You can alternatively heal using energy drinks that you find or buy, but the restaurant idea is an interesting treat. It’s also bad if you’re looking through some of the restaurant menus while you’re hungry. I found myself grabbing Asian cuisine for dinner several nights while playing. The one activity that’s truly bizarre to some of us Westerners is the Hostess clubs. Hostess clubs are real clubs in Japan where you can pay money to hang out with a woman for the evening and just talk. It’s like paying for a date. 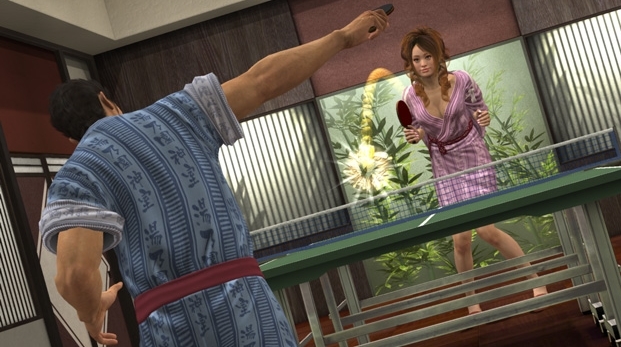 Yakuza 4 allows you to experience these clubs with several different women. You can then take them out of the club for dates around the city, giving you access to new mini-games which are a tad sexually charged. If you’re more into running a Hostess club, you’re in luck. You have the ability to play “Barbie” with several women and turn them into stars of the Hostess scene. It was a guilty pleasure of mine and I think my wife had a bit of fun helping me decorate them before going out on the floor. While there’s several hours of gameplay, a lot of the features may be a turn off to some gamers. Not only does the dialog lead on for ages, the gameplay feels dated itself. As I stated before, I actually didn’t think I was going to enjoy the game due to the combat system. It feels more like a PlayStation 2 game, or Dreamcast game, than a current generation game. The combat is very arcadey and dated. It’s definitely not as smooth as Batman: Arkham Asylum. It lacks a lot of charm in it’s combo system for this day and age. But if you can ignore a few minor instances of primitive gameplay and hours of reading, you’re in for a real treat and something that will tie you to your PlayStation 3 for a good 40+ hours.